Reports suggest that Britain has once again turned its attention to technological solutions to prevent a post-Brexit hard border in Ireland, despite the European Union having ruled it out months ago. It comes after British MPs voted last week to find "alternative arrangements" to prevent the so-called "backstop" from kicking in. The mechanism, detailed in the Withdrawal Agreement struck between Prime Minister Theresa May and EU leaders but heavily rejected by British MPs last month, was designed to keep Northern Ireland locked in a customs unions with the bloc should both parties fail to find a better solution before the end of a planned transition period. Fears in Ireland are that a hard border — physical checks or infrastructure — between the British region in the north and the Republic in the south would endanger the 1998 Good Friday Agreement, which put an end to more than three decades of deadly sectarian violence. British MPs argue it could trap the UK into an indefinite customs union with the bloc and prevent it from striking trade agreement with other countries. Can inspiration be found on the Swedish-Norway border? Officials there have had to cope with a similar situation to what Ireland will have to face post-Brexit. It is not completely the same: Sweden is an EU member state, while its neighbour Norway is outside the bloc. The latter is still a member of the Single Market and therefore has to respect the EU's four fundamental freedoms, including that of movement. The value of trade between the two Scandinavian countries is "considerably higher than between Ireland and Northern Ireland," according to a 2017 report written by Lars Karlsson, a former senior Swedish customs office for the EU Parliament. Yet Norway and Sweden, who share a 1,600 kilometre-long border, have customs offices at only 14 of the 80 crossings between them. Elsewhere they have implemented a "smart border", one of the most advanced in the world, which involves using technology to reduce frictions and keep the border as secure as possible. Transport permits allow goods to be transported over unmanned border crossings based on a number of conditions, including the submission of electronic-only declarations. Companies wishing to transport goods over the border must submit pre-arrival information via an online portal at least one hour before crossings. Since 2011 Norway has also been using automatic number plate recognition cameras to identify suspicious vehicles and detect customs violations. But the system does not completely eliminate the needs for physical checks at the border — a key issue for Brexit negotiations. To ensure fast movement, goods requiring additional permits — from food health or agriculture agencies for instance or those randomly selected — are first passed through a scanner and if needed, undergo further checks. Customs officers from both countries are also allowed to carry checks within a defined control zone on either side of the border. Vehicles are cleared "on average, within 3-9 minutes", according to the report. The European Research Group (ERG), a British think-tank comprising Brexiteer MPs from the ruling Conservative Party, has issued its own proposal over managing the Irish border. The December 2018 report, entitled "A better deal" envisages the use of a "risk management system" to allow customs authorities to "focus on transactions that merit attention" such as "high-risk consignments". 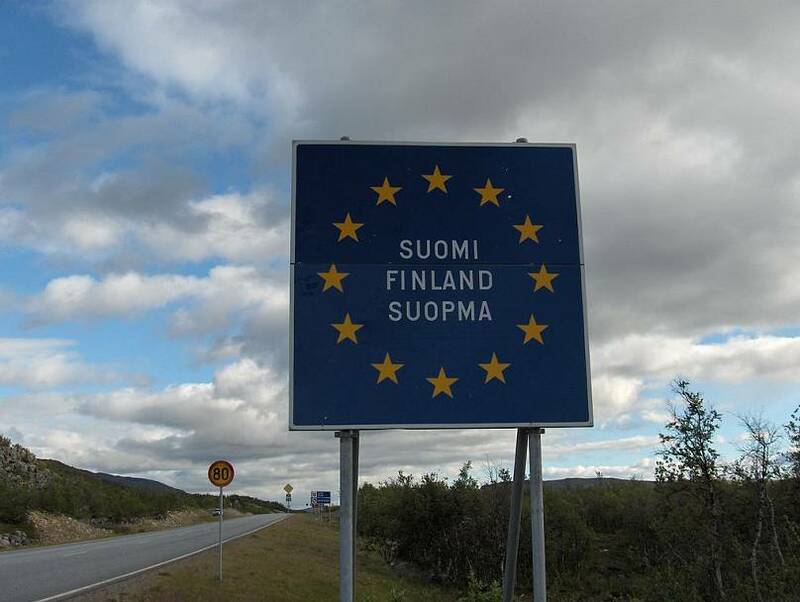 Like for the Norway-Sweden system, the thinktank plans for the use of automatic number plate recognition cameras, for exporters to register their cargo via an online portal prior to the crossings and for the UK and the EU to agree on a simplified procedure. Physical checks meanwhile would be carried out "at the premises of the exporter, importer, or at official border inspection facilities, located in the vicinity of the point of entry into the territory of the other party". 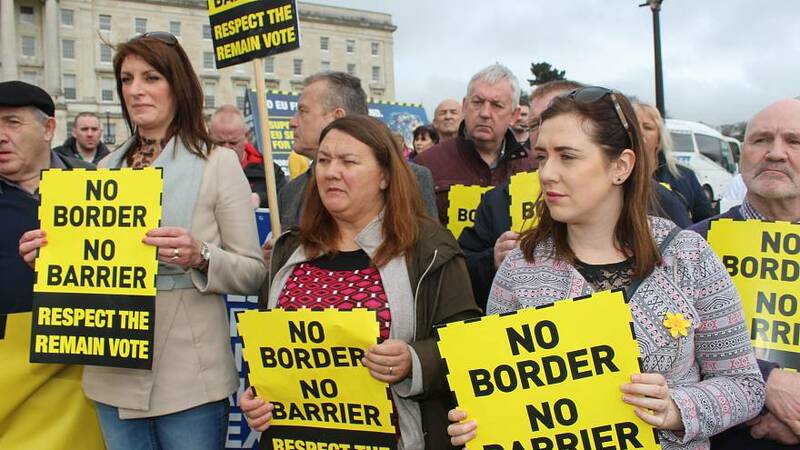 Northern Ireland and Ireland have been clear that they reject any solution that would reintroduce checks at the border or require heavy infrastructure. Neither of the solutions above fully address that. Furthermore, Northern Ireland's top police officer George Hamilton raised security concerns over plans to conduct customs checks whether at or away from the border. "I think it's highly foreseeable that if there is increased personnel operating in an around the border area... whether that be HMRC (Britain's Revenues and Customs), whether that be people engaging in checking of standards of other products, then I think it's highly foreseeable that they will become the subject of threat and attack," he told Northern Ireland's Affairs Committee. The EU meanwhile had already rejected these solutions arguing that they would not only require huge investments but also more time than the current Brexit timetable allows for, in particular, because some of the technology needed to work around the main contention points are not fully developed. Britain's return to this line of thought with just 52 days until it formally leaves the bloc with or without a deal, appears to have frustrated some EU officials. Sabine Weyand, the EU's deputy chief Brexit negotiator wrote on Twitter: "Can technology solve the Irish border problem? Short answer: not in the next few years." Her boss, Michel Barnier, also reiterated that the backstop is the "only operational solution to address the Irish border issue today." Simon Coveney, Ireland's Deputy Prime Minister told reporters on Monday that "none of those ideas around alternative arrangements have actually stood up to scrutiny". "I've yet to hear any new thinking that goes beyond what's already been tested," he said adding that it was "unreasonable" for Britain to ask to do away with an "agreed solution" to replace it "with wishful thinking."